Moya holds a Bachelor of Civil Law (Hons) Degree (UCD), a BSc (First Class Hons) in Counselling and Psychotherapy and a Postgraduate Certificate in Child and Adolescent Counselling and Psychotherapy, awarded with distinction. She holds additional Professional Certificates in both Advanced Psychodynamic Psychotherapy and in Couples Counselling and is currently completing an MSc with the New School of Psychotherapy and Counselling (London) and Middlesex University. She has a special interest in the Neuroscientific aspects of Counselling and Psychotherapy, Attachment Trauma and the repair of the self in Psychotherapy. Moya has experience working with adults in a private setting and at Boyle Counselling and Psychotherapy Centre (where she remains as a member of the Board of Directors). She works with children and adolescents, both privately and as part of a multi-disciplinary team within a secondary school. She is an affiliate counsellor with a number of Employee Assistance Programme providers and is a longstanding member of LawCare, the psychological support body for solicitors, barristers and legal professionals across Ireland, the UK and the British Isles. In meeting and working with clients, Moya draws upon her own life experience in overcoming the challenges, traumas and events of her own life which caused and necessitated her own individual journey through psychotherapy and ultimately led her to a deeper understanding of herself and care for others. Moya has also come to Counselling and Psychotherapy having pursued a prior successful legal career, principally in Civil Litigation and Family Law. 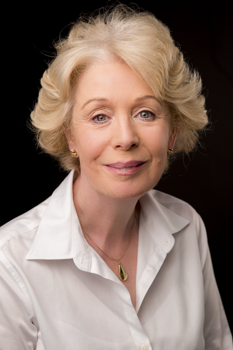 Admitted as a Solicitor in Ireland (1978) and in England and Wales (1995), she also holds Postgraduate Diplomas in Family Law and in Employment Law. She is an accredited Mediator, having trained with Friary Law and ADR (UK), with additional specialised training in mediating for Separating Couples and Family Mediation. All work is carried out within strict Confidentiality Guidelines and the Codes of Ethics laid down by various membership bodies, namely the Irish Association for Counselling and Psychotherapy, the British Association for Counselling and Psychotherapy, the Mediators Institute of Ireland and the Law Societies of Ireland and England and Wales. In addition, Moya’s work is carried out whilst giving recognition to the Children First: National Guidance for the Protection and Welfare of Children. Moya is also in regular clinical supervision relative to her work and is continuously enhancing her theoretical and practical skills in terms of bringing the very best to her work. In working with adults, Moya works principally as a Person-Centred Integrative Counsellor and Psychotherapist. However, she may draw on other modalities of therapy such as Cognitive Behavioural Therapy, Solution-Focused Brief Therapy, Psychodynamic principles, Gestalt and Body Psychotherapy as the need arises. Moya believes very much in empowering the individual, through the process of counselling and psychotherapy, to become the best possible person they may be. This is facilitated in a safe, non-judgmental and honest space with equality of relationship within the therapy. Moya believes that Counselling and Psychotherapy which supports the client to understand their unique selves and their individual experiences, ultimately fosters compassion for themselves in all that life brings. Being able to meet the challenges of life whilst finding meaning in our past experiences, our current difficulties and continuing future experiences, allows us to live authentic, worthwhile lives and be true to who we really are. In working with children Moya works as a Child-Centred Play Therapist. She recognises that each child is an individual and Moya takes into account unique developmental issues such as cognitive, emotional or physical difficulties. Moya is trained to work in a professional manner in accordance with the SPICC (Sequentially Planned Integrative Counselling for Children) models of therapy. This model fosters the relationship with the child which allows Moya to sequentially use other forms of therapy such as Gestalt, Narrative/Storytelling, CBT and Behaviour therapy in addressing certain specific issues or goals of therapy. Moya may also use Sand Play, Storytelling, Puppets, Music, Art and other Creative Therapies to facilitate this work. She seeks always to be attuned to the child whilst collaborating with parents (with regular review) towards bringing forward the best in each individual child and a resolution of whatever troubles him/her. Adolescents face many challenges at a physical, social and emotional level in the transition from childhood to adulthood. Adolescent counselling recognises this and seeks to establish an open, non-judgmental, honest and confidential space in which the adolescent is heard and understood. Counselling is proactive and collaborative, posing questions as to what might be going on?, what solutions make sense to me?, and how do get what I want? The goal of therapy with young people is seen as proactive and collaborative in planning and achieving SMART (specific, measurable, achievable, realistic and time-bound) solutions/answers to the questions posed. Being proactive is seen as fostering maturity, capacity to overcome challenges and a sense of choice/responsibility towards establishing a personal identity and meaningful relationships, whether that be within the family or otherwise. CBT (Cognitive Behavioural Therapy) for young people is also seen as useful in working with anxiety and strong emotions and other specific issues. As always, collaboration with parents (in consultation with the young person) is seen as important and counselling will typically allow for regular reviews. In my role as Family Mediator I am impartial and seek to facilitate your arriving at just, practical and workable agreements or solutions. Another pivotal role of the Mediator is to listen and help the parties identify the underlying causes of the conflict and how they would like to resolve or manage it. The agreements and outcome are decided by the parties. The Mediator shares joint responsibility with the parties for protecting and maintaining the confidentiality of the process.